Fabulous Two Story End Unit In The Highlands At Stonegate. Enter To Hardwood Flooring. Step Down Living Room With Ample Natural Window Light, Gas-log Fireplace, Entertainment Center and Pre-wired Surround Sound. This Home Also Offers Formal and Casual Dining Areas. Kitchen Features Corian Counter Tops, 42" Maple Cabinet, Includes All Kitchen Appliances. 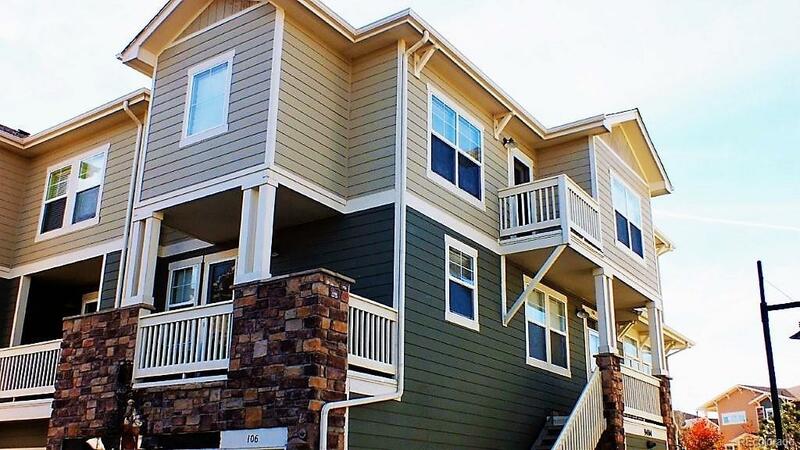 Spacious Master With Balcony, Walk-in Closet and 5 Piece Master Bathroom. Middle Bedroom/Study Has a Built-in Desk and Wood Flooring. Spacious 3rd Bedroom with Walk-in Closet. Offering a Convenient 2nd Floor Laundry Including Frigidaire Washer and Dryer. Includes Ceiling Fans and Central Air Conditioning. Basement With 4th Bedroom/Family Room with 3/4 Bathroom. Two Car Garage. Excellent Location Adjacent To Pool, BBQ's and Extra Parking. Association Name Primary M And M Condominiums Association Inc.